Today we will be doing a step-by-step guide on how to buy a web name or usually called domain name. There is a free tool I’d recommend that can be elaborated to find desirable name easily. Choosing a domain name is vital to our website. It must have a relation to what we will be constructing inside for the rest of the content written. 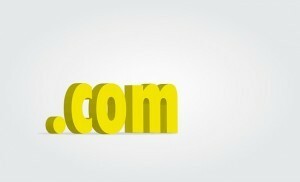 Dont worry, here we will get an idea to eventually buy a domain name with ease and suitable one. Now, we need to have an idea of what we are going to do with our web name. Then from there, we will be able to create some web name ideas. 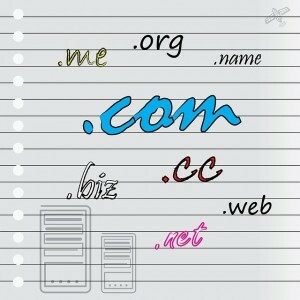 Here is the free tool for you that can generate some domain name ideas (www.namemesh.com). From there just type in what kind of web name you like, and they will give us some ideas based on common, similar, new, seo, short, fun, extra, and mix(choose at least 5 domain names that you want). If you like to get more people come to your website, I will suggest taking the ideas from the seo section. It is because of the uniqueness of your domain name that will make it affects ranking on search engines. After you have at least 5 web name ideas, test their availabilty at the next step! There are many domain name providers out there, but this is one of the cheapest and convenience. Some like godaddy.com, it is sometimes annoying with their ads and sells. After you have come up with several domain names ideas. My recommendation to buy a web name is from www.namecheap.com.You will see a search bar that labelled “find your new domain name” inside the bar. Simply copy your web name ideas you got from namemesh.com and paste it on the search bar. Then click Search. If your web name is not available, try another ones you have until you get it available! As you can see the picture on the left side, I am using successfulonlinebuddy.com and it is available. So, simply click on the cart button to add it into your cart. You will also see the right side of the cart will be added with your domain price. Click View Cart. There will be some extras below you will see to improve your sites. This is optional. As for me I dont use it. So, I just click confirm order. If you want to add the extras to your cart, you can do so by clicking on the cart button. After you confirmed your order, we have to log in. If you are new, choose the right side which is create an account. Fill in your information, then click the button “create an account and continue”. Payment and You Have Owned A Domain! After you create an account, you will be directed to payment method by credit card or paypal. So, just fill in all the information required and confirm the payment. Your payment summary will be emailed to your email account. Congratulation, you now have owned a domain name! That is all I can show for step-by-step guide on “how to buy a web name”. Feel free to drop me a comment for questions or feedback. I would love to reply you. Please share this post if you like it :). Peace! Another great article Edy about buying a domain name because any business before even a website, starts with a domain name and you are giving here very good recommendations. It’s a good idea to look for a SEO friendly domain which can give some little boost in rankings. As for Godaddy, it’s a good option and I support you in this, but as you mentioned it exactly, they have many upsells and it’s really a bit annoying. As for namecheap, it’s a good option too and many people prefer namecheap over godaddy. I think many people will benefit from your article and keep up a great job. I like the overall look of your page. You’re much further along than I am. It’s user friendly. Where did you get your photos and graphics? Did you have to pay for them? I get them from Google images, it is free..
You can drop me a message if you need further help.